There are a lot of ways to increase your website conversion rate and convert more visitors into customers. 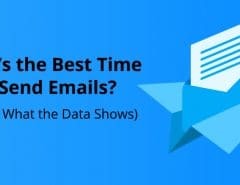 If you have been trying out some of them, you should probably know by now that the most effective way to get more leads is an exit intent pop up. Exit Intent technology tracks mouse movements of website visitors and detects when a visitor is about to leave the site without leaving his/her information or buying anything. by showing a popup or a widget once the courser of the visitor leave the frame of the site. What happens when there is no courser, like in mobile devices and tablets? When a visitor came to your landing page and tries to click “back” to go to the previous page (let’s say Google SERP results), the exit popup will show up. 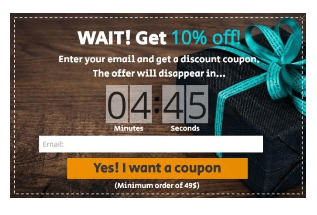 Why do Exit-Intent pop-ups work? When a visitor decides to leave the website, his/her mind is clear for the next task. This is the perfect moment to catch their attention and show them an irresistible offer. When you show visitors a popup in the middle of the screen, they have to make a choice. They have no distractions – they can engage with the popup and leave their information, or close the popup. 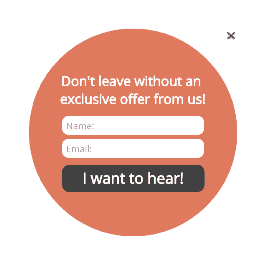 Mostly you won’t offer the same thing in your landing page as in your exit popup. If the visitor didn’t convert in your page, you would probably offer something with a different CTA (call to action) or with higher value to catch him/her while hesitating. When should you use exit pop-ups? If you target the right pages and the right audience, exit intent overlay can be a great opportunity to show a special offer of your service or product to your visitors. Exit popup window works very well in landing pages, commercial websites and online eCommerce stores. Here is one scenario: A visitor came to your online store and added a few products to the cart in a few minutes. Then he started the checkout process and right before he insert his credit cart information, he decided to wait for a deal with a better price or his daughter just called him about the email she sent and distracted him from completing the purchase. With an exit intent popup you can save abandoned carts like this one and increase your revenue by 20%-30%. 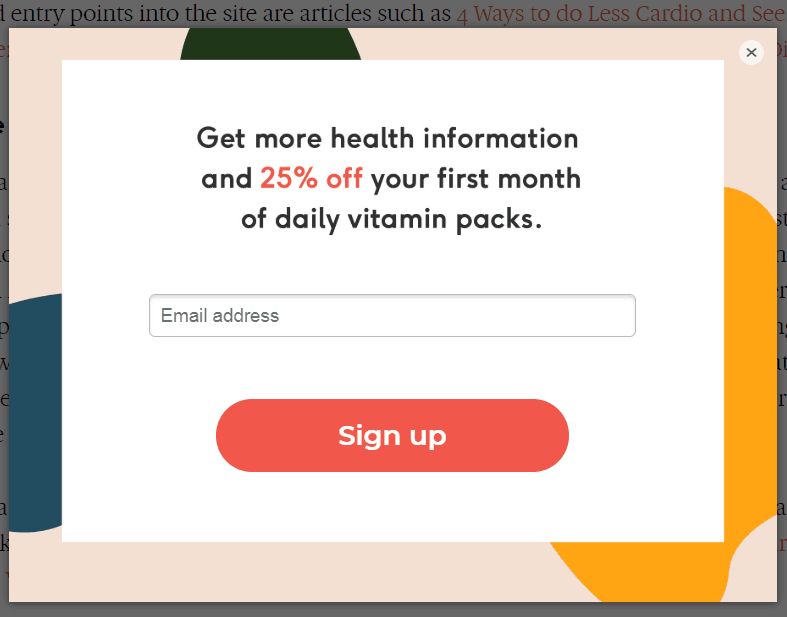 In the following paragraphs we will show you a study case about exit popup in a landing page. The campaign discussed in this case study was for a local Israeli robot vacuum cleaner brand (hereafter referred to as “Robot Brand”). The experiment was conducted during the second quarter of 2017 (April-June), and the data was compared to the second quarter of 2016. 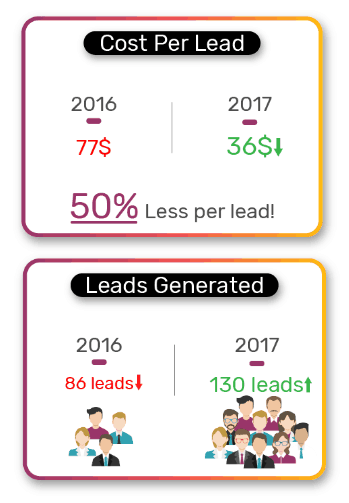 The goals of this experiment were crystal clear, and Poptin was basically used to increase conversion rate substantially. Keep in mind that the Robot Brand was in a crowded market with fierce competitors such as IRobot, therefore advertising costs were definitely not getting any cheaper from 2016 to 2017. The Robot Brand had to use all possible means to increase its conversion rate. During the second quarter of 2016, the Robot Brand ran an Adwords campaign with a monthly average budget of 2,200 USD for a certain landing page. The landing page for this PPC campaign converted in an average cost of 77 USD per lead. For a total budget of 6,600 USD for the whole quarter, the landing page generated 86 leads. 1. A round shaped poptin targeted to capture the visitors’ attention by its special shape. 2. A timer poptin designed to create urgency, the Robot Brand didn’t offer any discount in the poptin’s copy (this is important because giving a discount itself can increase conversion). Now, that you see exit intent popups work, let’s take a look at how you can make them work for your brand. First, let’s begin with the things you should avoid doing at all costs when you use exit intent technology. When a user comes to your website, clicks around, and is getting ready to leave – showing a pop up with a bunch of fields isn’t ideal. 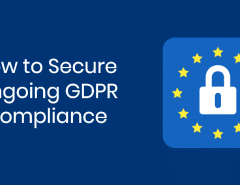 They’re already set to leave your site and this will likely push them out quicker. 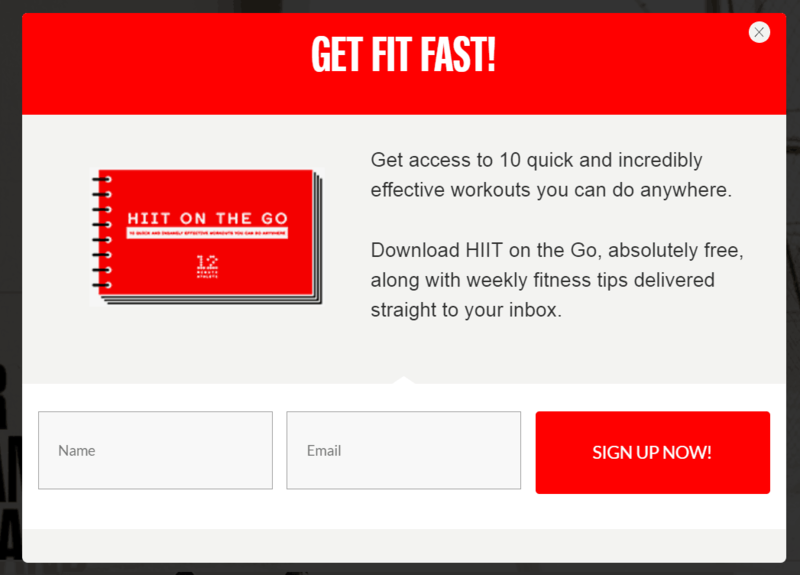 The purpose of an exit intent popup is to attract and convert. So the easier you can make the conversion process (signing up), the better. This is also a proven fact – studies show you can increase conversions by 120%+ by using fewer fields in your exit popups. We understand – brands want their exit popups to drive results. But this shouldn’t mean using shady methods to make it happen. You don’t want to create bad blood and burn bridges for the sake of your strategy. With that said – don’t make it hard for users to exit your exit popup. The “x” should be very easy to see and click on. The user experience is big to both Google and users. So don’t hurt your trust and ranking because you want to force visitors to convert. It’s just not going to work. Studies show that just a moderate increase in customer experience increases your revenue. When visitors go to a certain page, blog post, or another form of content on your site, it’s key to display an offer that’s relevant to their search and intentions. Well, that’s if you’re serious about converting your visitors into subscribers. On that note, make sure you’re tracking user behavior so you’re able to deliver the right message at the right time. In some cases, you can use a little common sense. 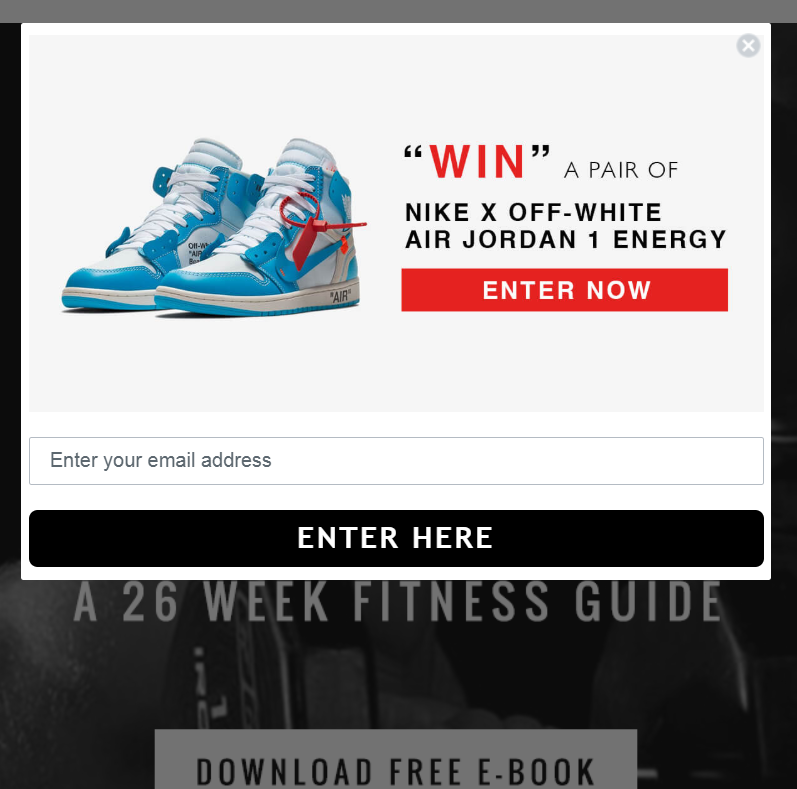 For example, The Idle Man is offering a free fitness e-book and the popup for this page offers a chance to win a pair of Nike Air Jordan sneakers. It has all the other great elements, including a simple sign up process with just one field and a visible “x”. This is a relevant popup because their target audience is those interested in fitness, as well as gear used to work out or train. If there’s anything you’ll learn in marketing it’s that triggering the right message at the right time is key to conversions. Next, let’s take a look at some of the elements you want to ensure are present in your exit intent popups. The design of your popups are critical – it’s literally the difference between being appealing or appalling to your visitors. One part of creating an appealing design is the text. It’s important to choose the right font, size, and color for each one. The key is to make your popups easy to read, otherwise, they’re useless. As you can see here, the words are very clear. The font is in manuscript text and large enough to easily read. Also, the bold and italic words help the visitor see key areas of the offer. Then, there’s a quick sign up form with only two fields. The contrast of the text and background is kept simple – black text on a white background. Never go with odd color schemes that strain the eyes. Such as white text on a black background or gray text on a red background. People are highly visual beings, which is why most marketing materials use them (or at least those that are successful). You find visuals in ads, articles, blogs, brochures, and infographics. The same can be done for your popups. The idea is to choose imagery that’s relevant and resonates with your intended audience. For instance, if you’re offering free shipping on a clothes order, then show a woman holding bags of clothes. Or if you’re offering a free consultation for financial planning, then show someone who’s sitting at a table stressed out while looking over bills. On the flip side, you can go with positive imagery, such as a woman sitting at a table with bills, but smiling with relief as she’s talking with a professional on the phone. Seeing visuals with the text helps visitors put two and two together and even visualize themselves with the solution offered. And that’s what helps to convert. 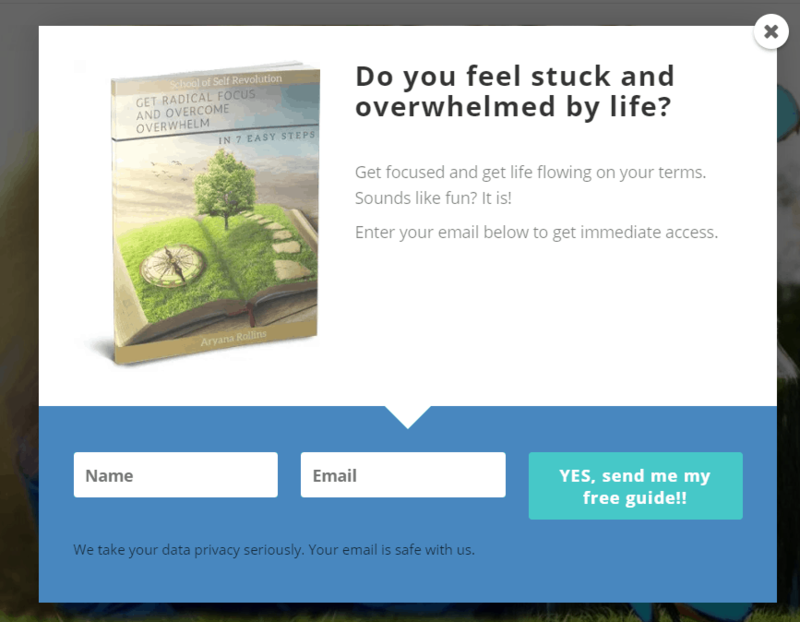 Here’s a look at one exit intent popup with text-only. 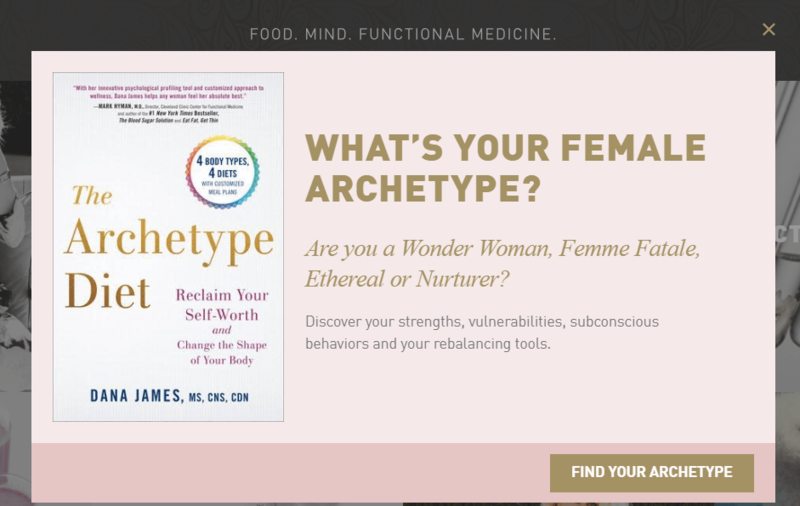 And another one that has a visual of the e-book you’re being offered. It’s more enticing to the visitor and more likely to convert. The color schemes are also good. Every form of marketing copy you create should contain a call to action (CTA). Without it, you risk wasting the time of your visitors. While users are already accustomed to popups and their intention to get them to sign up, it still doesn’t hurt to include a CTA. Now, there are different ways you can place your CTA. The key is to make it noticeable. Some will bold and enlarge the CTA. And others will place the CTA on or above the button. You can play around with different variations to see what works the best. Those who take the time to read the rest of the exit intent popup will find another enticing question and CTA. This is a brilliant set up and will likely get its fair share of conversions. If you’re not using exit popups as part of your marketing efforts, then it’s definitely time to start. This form of popup is one of the highest converting methods because it plays on the behaviors of your audience. It acts as a trigger to get your visitors to act before they leave your site. And if the messaging is right, it could prevent them from leaving your site forever. However, if you’re already using popups for your marketing strategy, then you may find you’re making some of the mistakes mentioned above. Try switching things up to see if you can improve your conversion rates. And if you need a platform to build exit intent popups fast and easy, then check out for free Poptin today!